Robin Matthew Kochis, 62, of Scranton, died Saturday at Regional Hospital of Scranton. His wife, Donna Marie Kochis, preceded him in death in December. Born in Dunmore, he was a son of the late Lawrence and Sarah (Sally) Featherby Kochis. A graduate of Bishop O'Hara High School, he was a clerk at United Parcel Service in Taylor. He is survived by a daughter, Jillian Kochis; a stepdaughter, Ashley Shehadi; a son, Christopher Kochis-Carey and wife, Debra; a brother, Lawrence Kochis and wife, Ann; a sister, Mary Ann Earley and husband, Harold; a large extended family including numerous nieces, nephews and grandchildren. The funeral will be Thursday with Mass of Christian Burial at 9:30 a.m. in St. Paul of the Cross Parish at Sacred Hearts of Jesus and Mary Church, 1217 Prospect Ave., celebrated by the Rev. Scott Sterowski, pastor. Interment, Cathedral Cemetery. 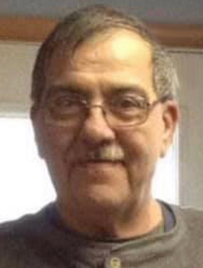 Friends may call Wednesday from 5 to 8 p.m. at the Neil W. Regan Funeral Home Inc., 1900 Pittston Ave., Scranton. The family requests that those attending the Mass on Thursday proceed directly to the church.